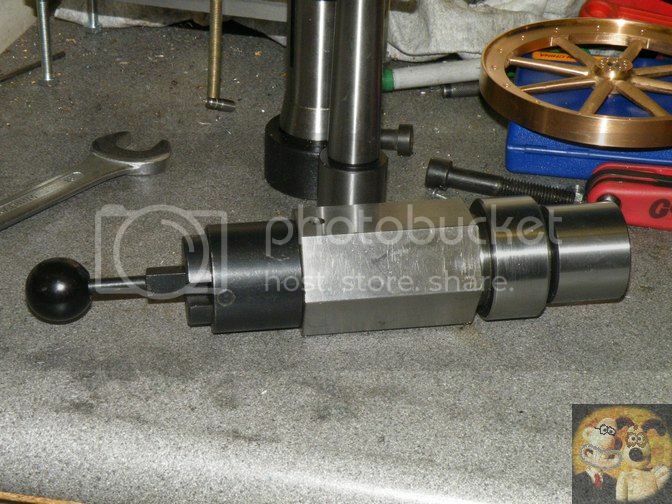 Here is the third of my transfer posts showing how I got bits to fit between tooling. 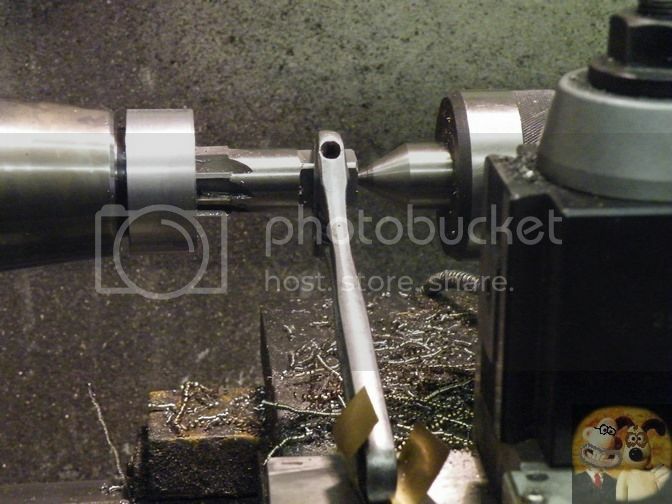 I don't make tooling just for the sake of it, I always need a reason for doing it. 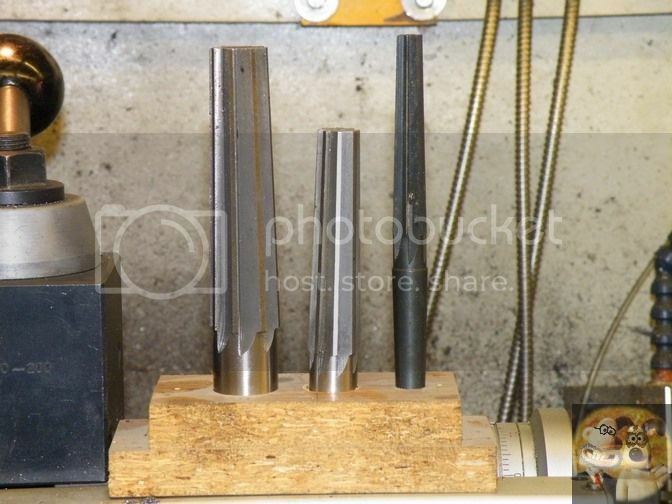 I have a couple of tools that I need to make that are produced from MT blank arbors. OK if doing the work in the lathe, but when it comes to the mill, it poses me a problem as to how to hold them accurately and rigid enough. 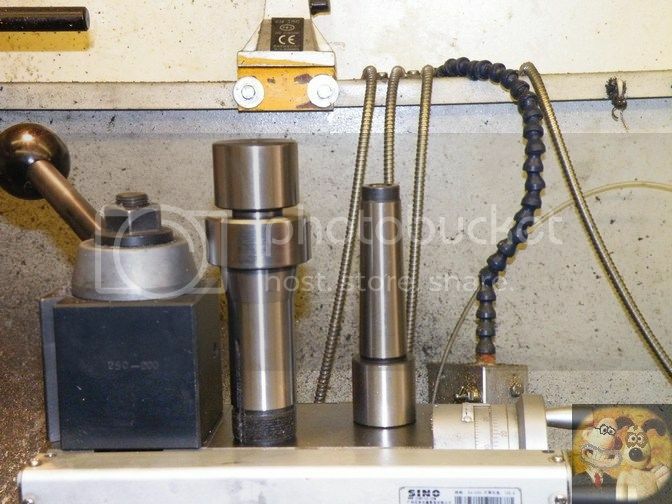 So, I looked at my range of adaptable tooling that I have made that goes between the lathe and mill, and came to the conclusion that a 5c to MT adapter is what I really needed. 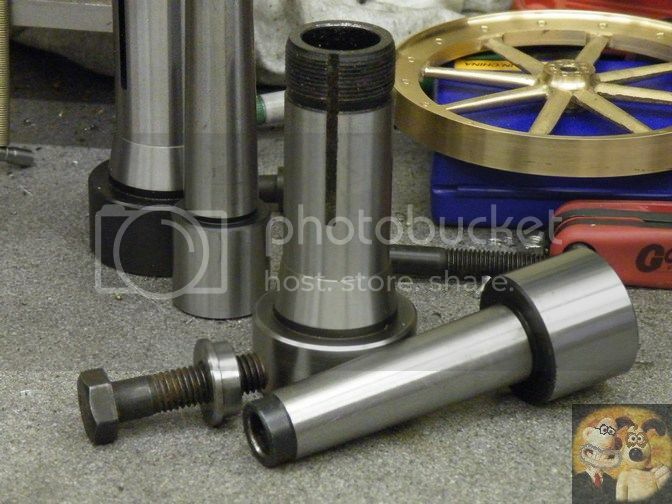 So rooting thru Arc Euro's pages, I found just what I was looking for, a 5c blank end arbor (on the left), I always have a few blank MT arbours knocking about for making up bits of tooling when required. I tend to buy the ones that have threaded ends, then if a tang is needed, I can just fit the screw in tangs I can get from Arc, again, I always have some in stock. 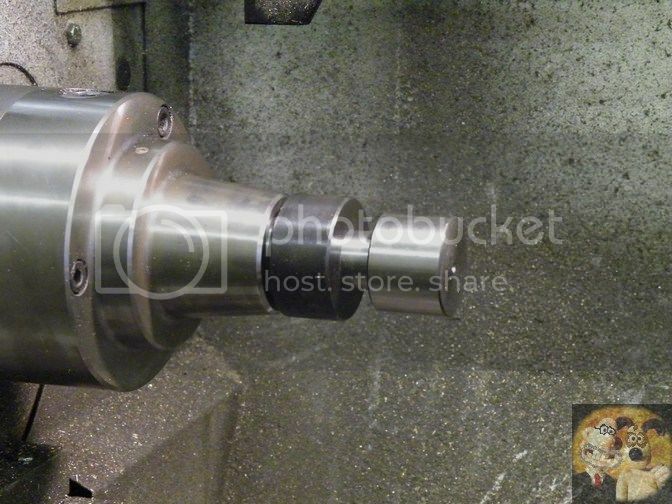 The arbor was mounted up in my 5c collet chuck, a hole drilled thru and I started to bore out at a rough angle of what a MT is at using the topslide. 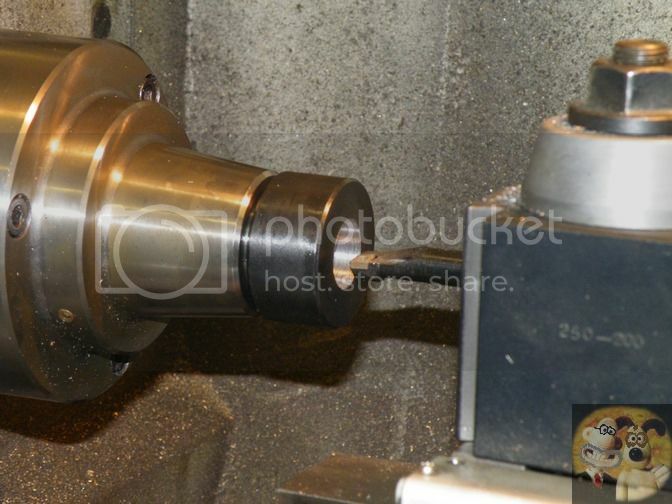 When a point was reached where there was still about 3/8" to 1/2" of the taper protruding, the boring was stopped. I also took the opportunity at this break in the proceedings to remove the chemiblack from the 5c arbor. I like shiny things. 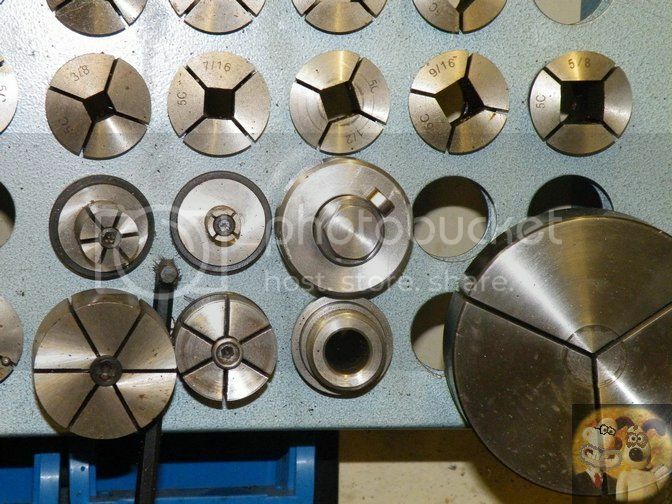 Over many years I have built up my tooling range, so I have at my disposal 1, 2 & 3 MT reamers. 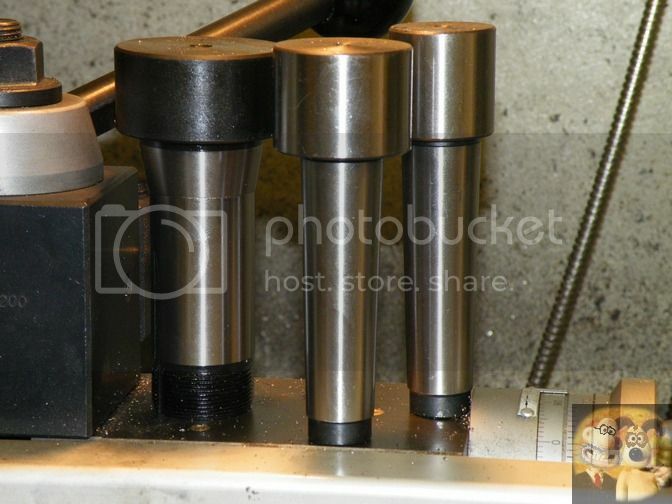 These are very handy to have if you are into making your own tooling, and don't cost all that much if you search about, I think I gathered mine from Tracy tools. The taper only goes into the 5c arbor about 2", but that is more than enough length to support the blank MT, and mine fitted perfectly with absolutely no runout at all. 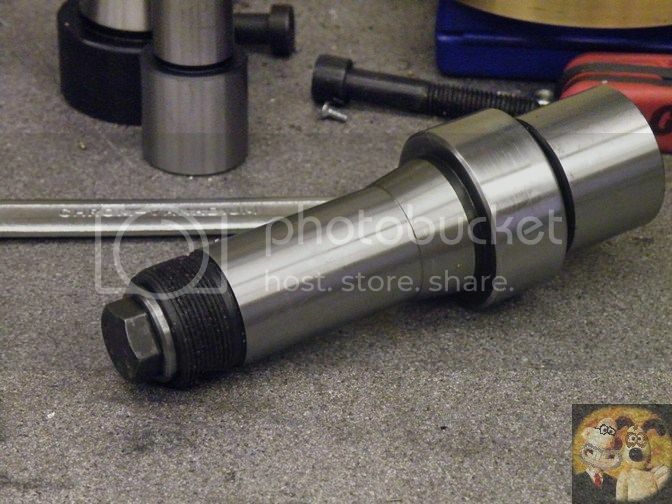 A drawbar is required to stop the MT falling out of it's taper mounting under the rigors of machining, so a root around in the spares box came up with a good fitting bolt. Then a stepped washer was made to fit in the back of the 5c adapter. After this shot, I skimmed down the bolt head to half it's thickness, so I didn't have too much protruding out of the back of the 5c. So now that I have this adapter, I will have no problems with holding blank MT arbors in both my 5c collet blocks, and my spindexer as well. It can sit in the corner of my 5c rack amongst the other specialised ones until it is required for use. Notice the neo magnet on there, holding the bits together so they don't get lost. A quick and easy job that was done when I got a bit fed up and finger sore with blinging up an engine.